The activity log contains all write operations (PUT, POST, DELETE) performed on your resources. It doesn't include read operations (GET). For a list of resource actions, see Azure Resource Manager Resource Provider operations. You can use the audit logs to find an error when troubleshooting or to monitor how a user in your organization modified a resource. Activity logs are kept for 90 days. You can query for any range of dates, as long as the starting date isn't more than 90 days in the past. 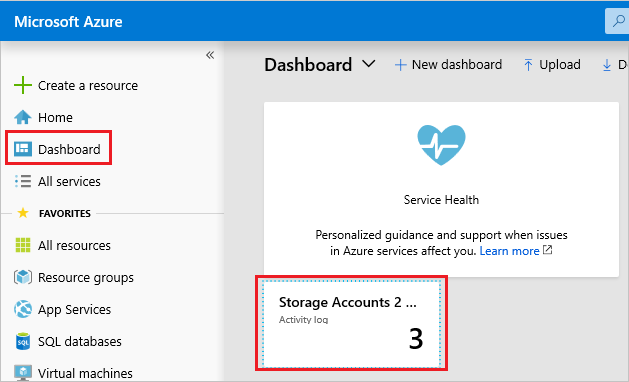 You can retrieve information from the activity logs through the portal, PowerShell, Azure CLI, Insights REST API, or Insights .NET Library. To view the activity logs through the portal, select Monitor. You see a summary of recent operations. A default set of filters is applied to the operations. To quickly run a pre-defined set of filters, select Quick Insights and pick one of the options. To focus on specific operations, change the filters or apply new ones. For example, the following image shows a new value for the Timespan and Resource type is set to storage accounts. If you need to run the query again later, select Pin current filters. The filter is available in the dashboard. To retrieve log entries, run the Get-AzLog command. You provide additional parameters to filter the list of entries. If you don't specify a start and end time, entries for the last seven days are returned. The following example shows how to use the activity log to research operations taken during a specified time. The start and end dates are specified in a date format. Or, you can use date functions to specify the date range, such as the last 14 days. You can look up the actions taken by a particular user, even for a resource group that no longer exists. You can filter for failed operations. You can focus on one error by looking at the status message for that entry. You can select specific values to limit the data that is returned. Depending on the start time you specify, the previous commands can return a long list of operations for the resource group. You can filter the results for what you are looking for by providing search criteria. For example, you can filter by the type of operation. To retrieve log entries, run the az monitor activity-log list command with an offset to indicate the time span. 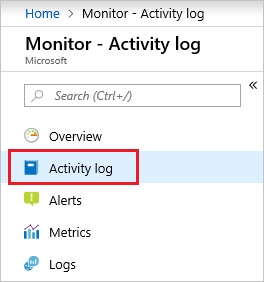 az monitor activity-log list -g ExampleGroup --offset 1d --query "[?operationName.value=='Microsoft.Storage/storageAccounts/write']"
The REST operations for working with the activity log are part of the Insights REST API. 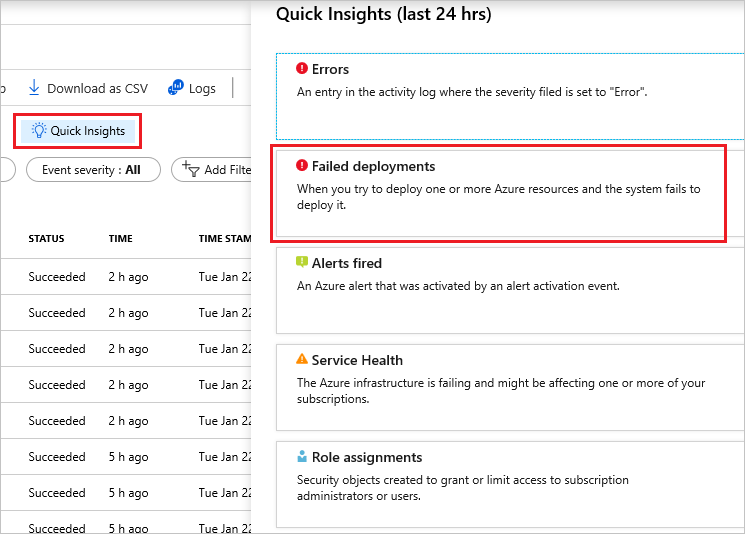 To retrieve activity log events, see List the management events in a subscription. Azure Activity logs can be used with Power BI to gain greater insights about the actions in your subscription. See View and analyze Azure Activity Logs in Power BI and more. To learn about setting security policies, see Azure Role-based Access Control. To learn about the commands for viewing deployment operations, see View deployment operations. 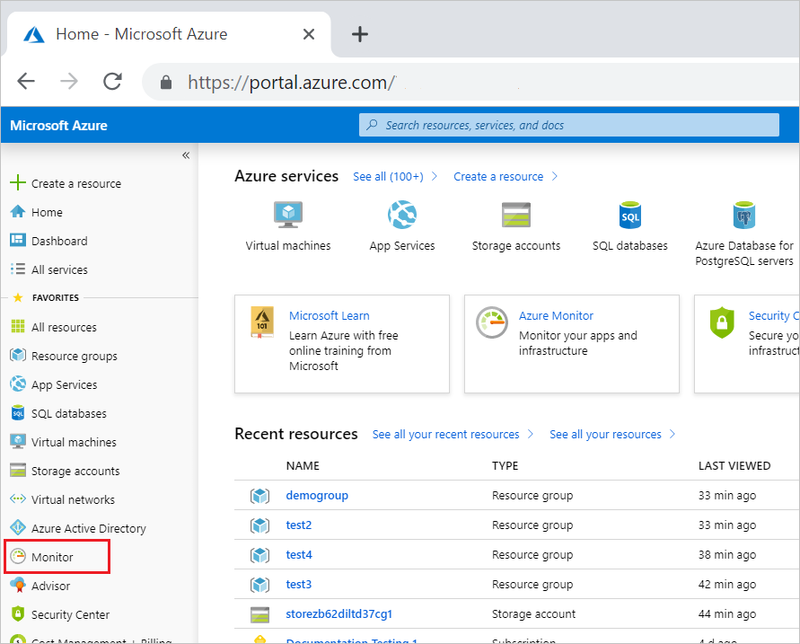 To learn how to prevent deletions on a resource for all users, see Lock resources with Azure Resource Manager.